Cliché or not, is it hard to resist falling in love in the snow? …The two of you curled up in front of an open fire in a jumble of legs and blankets. 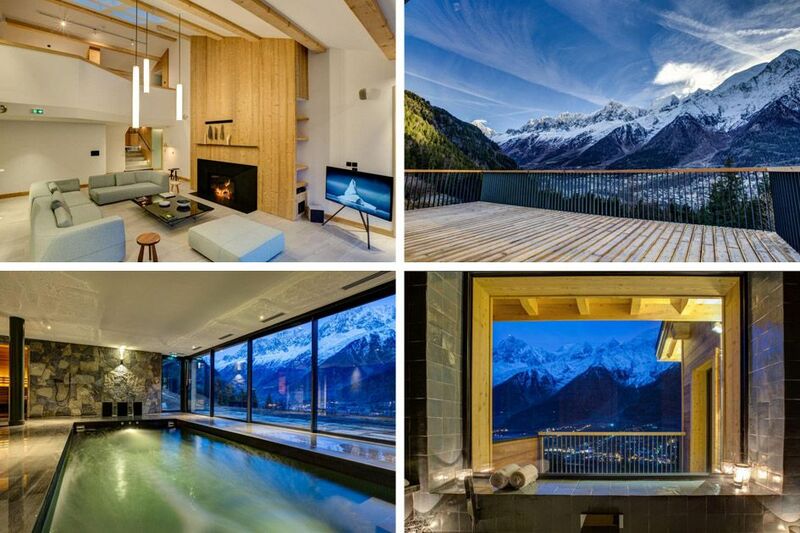 Mountain views to get lost in, (when you’re not staring into each other’s eyes), and the most romantic ski chalets in the Alps with heart-warming hot tubs and snug cinema rooms. If you are looking for a Valentine’s Day treat to get your other half’s pulse-racing with some physical activity, then there’s no better answer than a couples’ skiing holiday to some of the most romantic ski chalets in the Alps. Maybe you’re even ready to tie the knot and thinking of a ski resort wedding? We’ve got a selection of chalets that will make the perfect venue for your wedding in the Alps, for you to celebrate and stay in a real winter wonderland. In a nest of leather and furs, create treasured moments in the evenings spent in La Ferme du Bois. 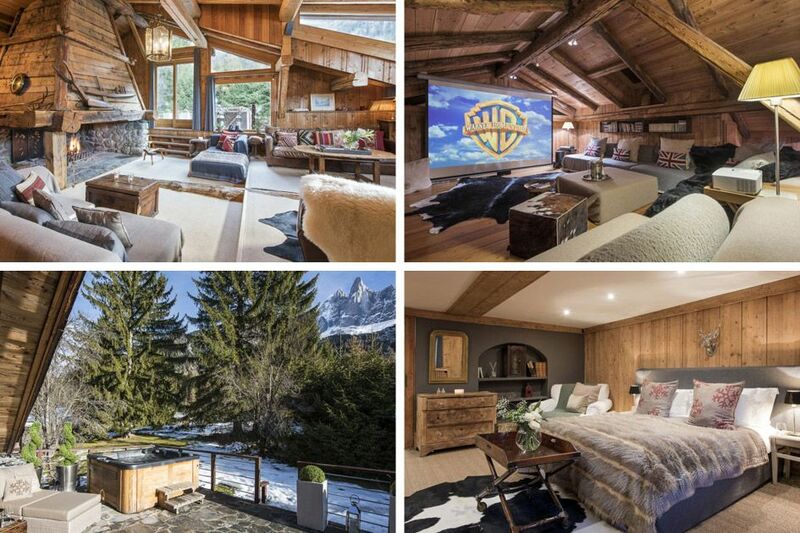 The design of this chalet invites you to relax in pure comfort with sofas stretching out in all directions, a hot tub under the silhouette of the mountains, and several cosy corners to hide away in. This traditional cabin is what dreams are made of; a shabby chic chalet perfect for a classic romance. And if the wooden-clad interior isn’t enough to woo you, then the sunken hot tub and covered nook seating area on the terrace might just sway into sharing a bottle of champagne under the stars. If a pool with a view is what you’re after for that weightless and in love feeling, then the floor to ceiling window in Chalet Spa’s swimming pool offers uninterrupted mountain views giving you a slice of the haven, peace, and tranquillity to share with a loved one. Welcome to a secluded chocolate box chalet, where the promise of smooth, rich indulgence will be to everyone’s taste. This 18th-century farmhouse captures the charm of its past and as one of the most luxurious chalets in Les Gets, it’s almost too hard to resist. 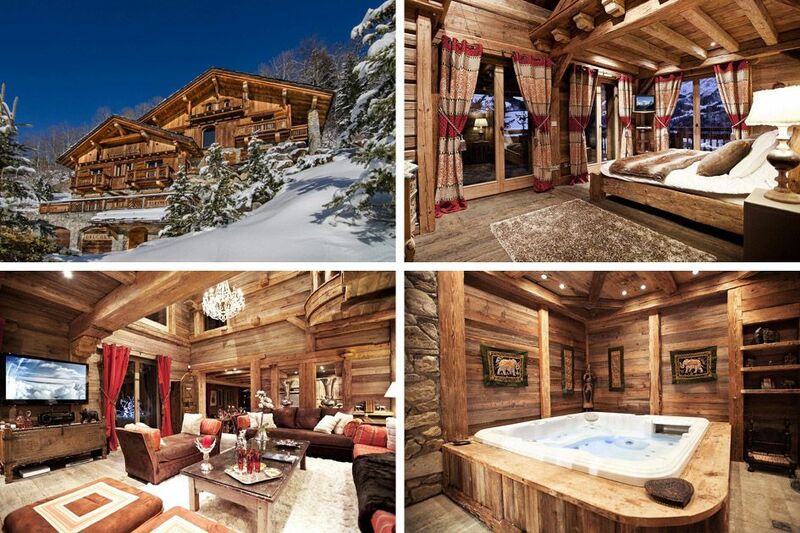 This chalet is the perfect pairing of luxe and character. Wooden beams create quirky spaces and crystal chandeliers hang from double height ceilings, and the indoor hot tub and a steam room invite you to unwind after an exhilarating day on the slopes. 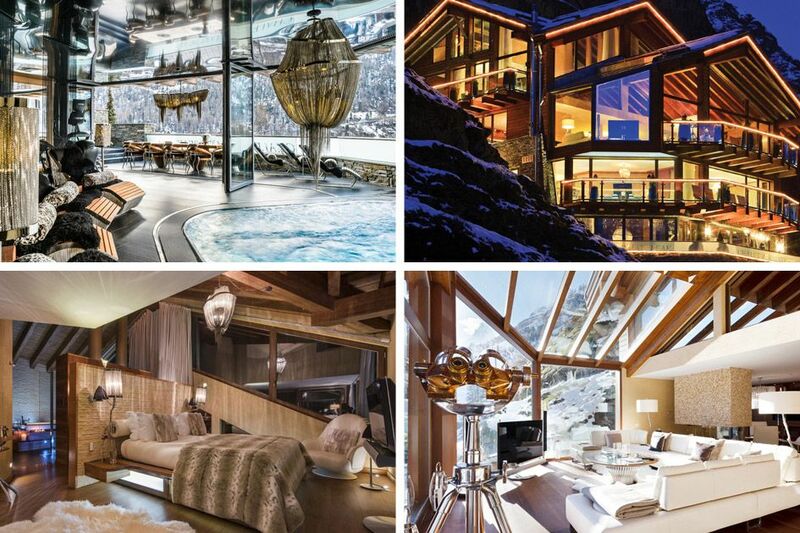 A gift of lavish jewellery is nothing in comparison to a surprise getaway to Zermatt Peak. 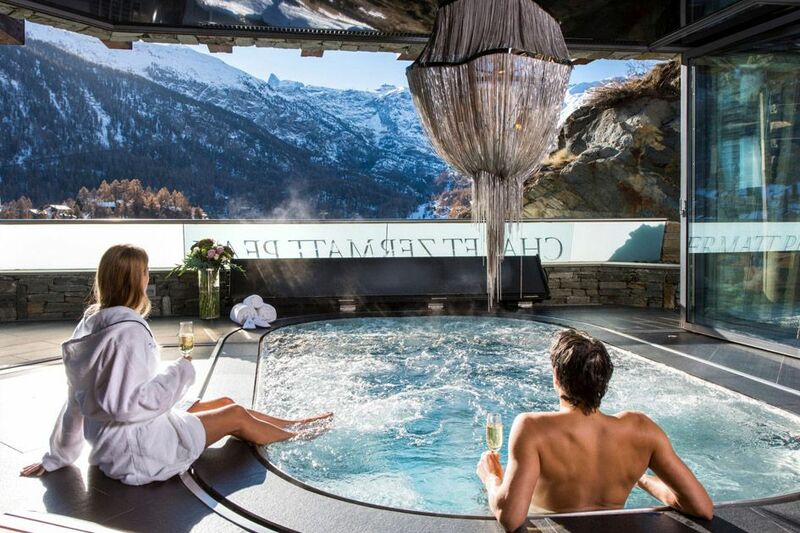 Spoil yourselves in this premier chalet adorned with crystals and jewels, a state-of-the-art wellness centre and 6 floors of style, luxury, and panache overlooking the Matterhorn. From chalets to host the whole event, to chalets with deluxe guest accommodation and secluded honeymoon suites, there will be a chalet to make the dreams of your big day come true. With room for all the wedding guests to stay and even enjoy a quick ski run on the wedding morning, this ski in ski out chalet in Lech has some of the best spaces for entertaining and stunning backdrops. Equipped with exceptional spa facilities, double massage room, (& hair salon!) games and cinema rooms, guests, and the happy couple, will have an unforgettable wedding holiday. For wedding photos to rival any to come, one of the five of Le Chalet Mont Blanc’s expansive terraces is the perfect place for group shots with Mont Blanc in the background. 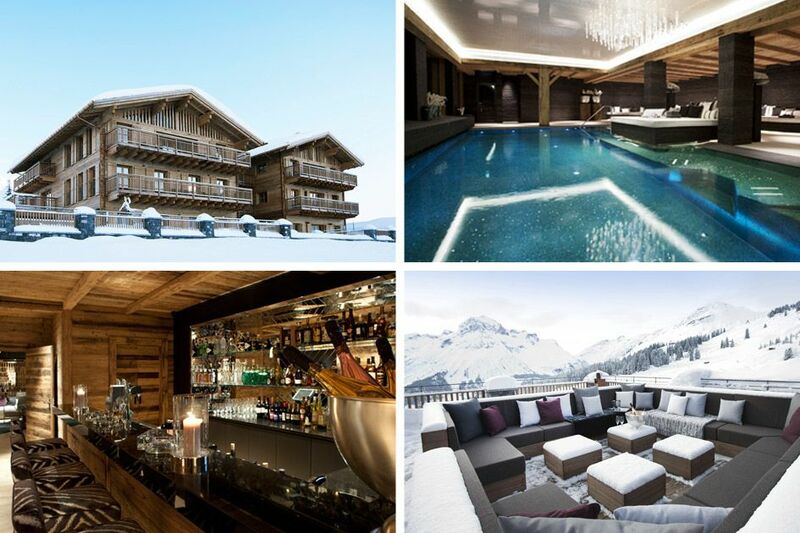 There’s also the opportunity to make a statement entrance using the chalet’s private helipad and once you arrive there’s over 1,000m2 of the luxury chalet to enjoy, accommodating 26 people. As one of the go-to wedding chalets in the Alps, Sir Richard Branson’s The Lodge has an exceptional wedding concierge team. Perched just above Verbier, this open plan spacious chalet is perfect for guests to mingle whilst enjoying the mountain views. For a party to remember, The Lodge has plenty to keep guests entertained, from hot-tubs, a bar and wine cellar, to the ski in/ski out access that will have you on the slopes to blow away the next day’s hangover. 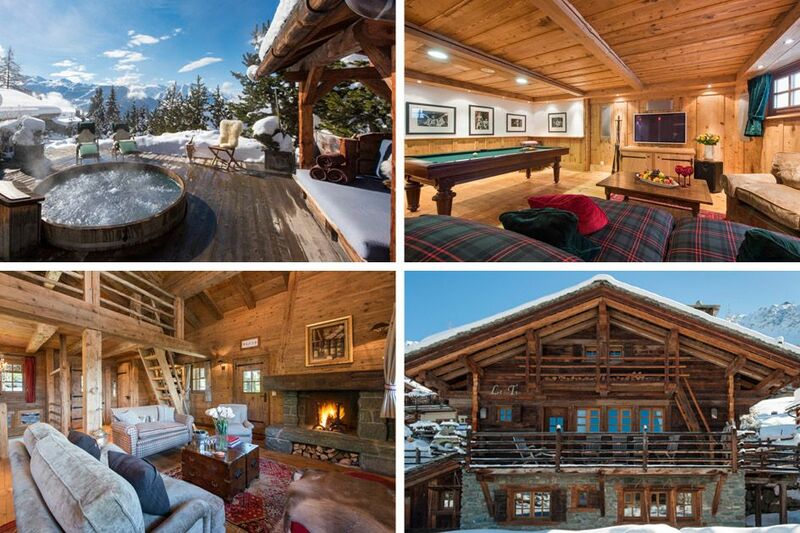 Undoubtedly one of the most desirable and exclusive chalets in Val d’Isere, Chalet Le Chardon sits elegantly on the side of the Solaise Mountain. 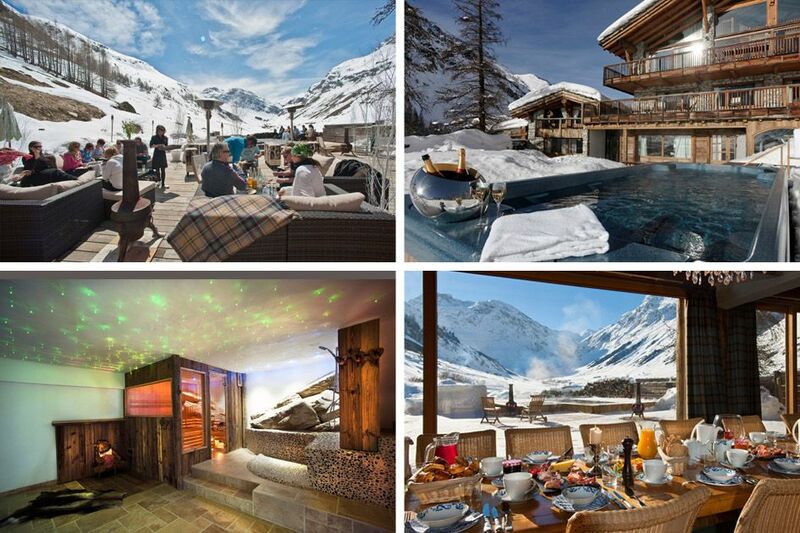 It offers outstanding views from both the chalet and its private large terrace, a fantastic place to hold extravagant feasts and in the right conditions, drinks are served from a handcrafted snow bar. 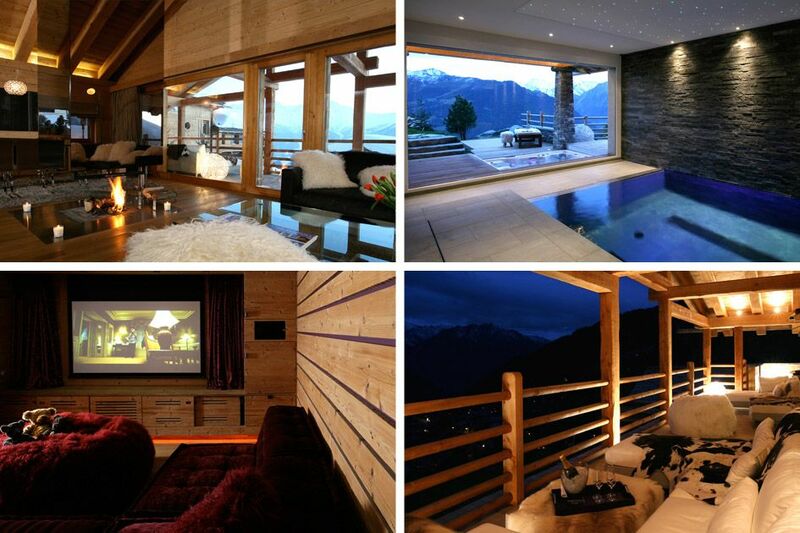 Everything in this chalet has been handpicked and created for your enjoyment, from the numerous entertainment facilities, glass sauna with 180-degree views of the valley below, to the infinity pool and hot tub. 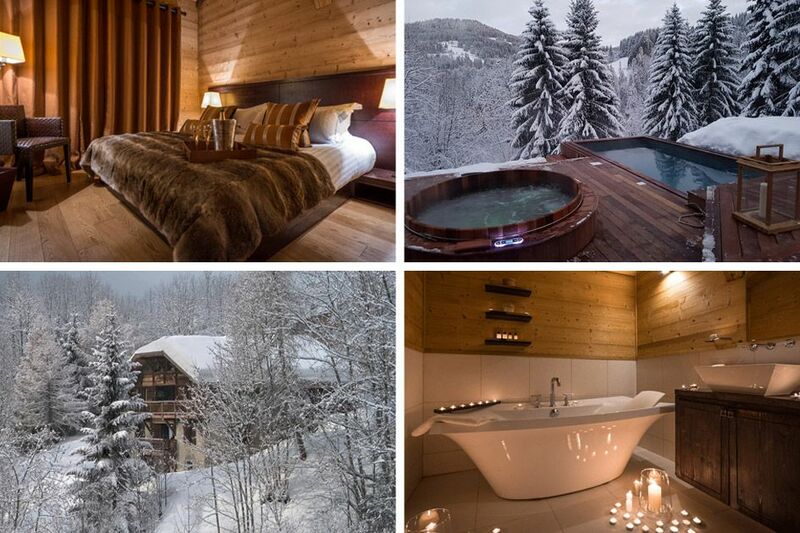 With luxury bedrooms, en-suites with roll top baths, and an option for an additional ‘Mazot’, Chalet Grande Corniche can accommodate up to 19 guests. 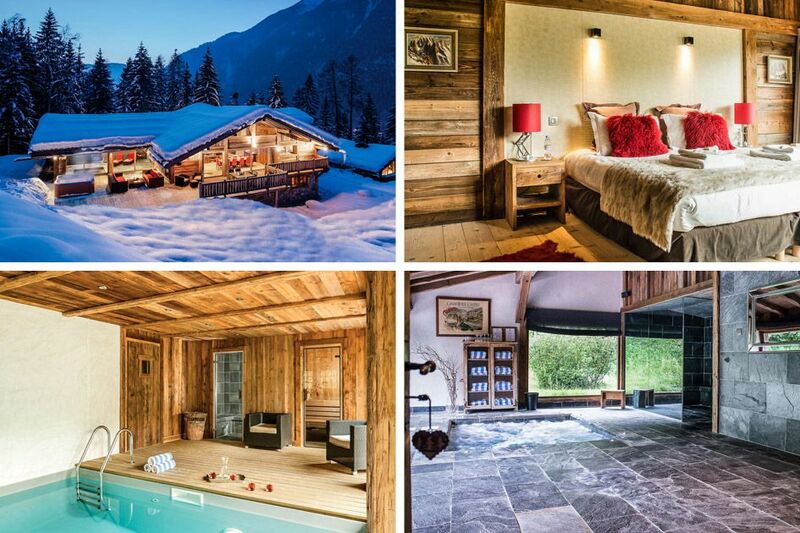 This chalet, nestled into the Chamonix Valley, has not one but three separate chalets – after all, you might not want to be surrounded by guests for your whole stay. 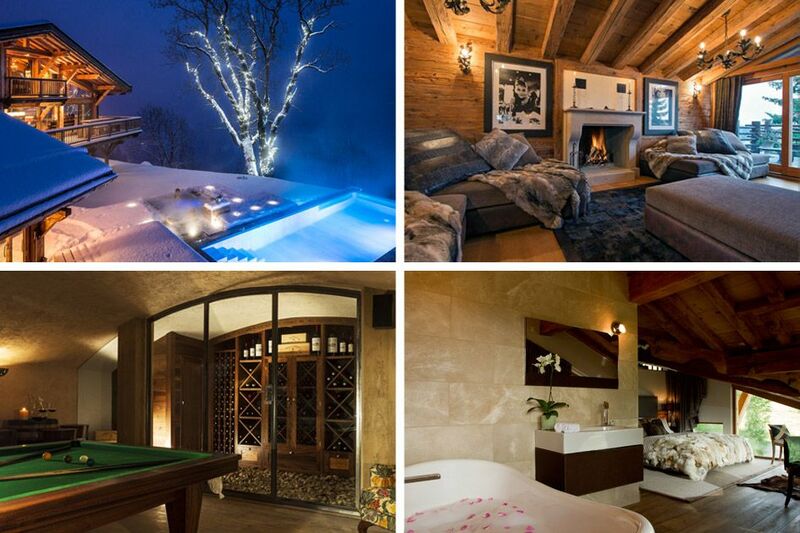 Chalet Amazon Creek, Chalet Baby Bear, and Chalet Baloo, all found in a private enclave, are a collection of the most romantic chalets in Chamonix with vast living spaces filled by a warm and loving ambience. Boasting 3 outdoor hot tubs, an indoor stone sunken hot tub, and two cinema rooms, these chalets make a beautiful setting for memorable events. 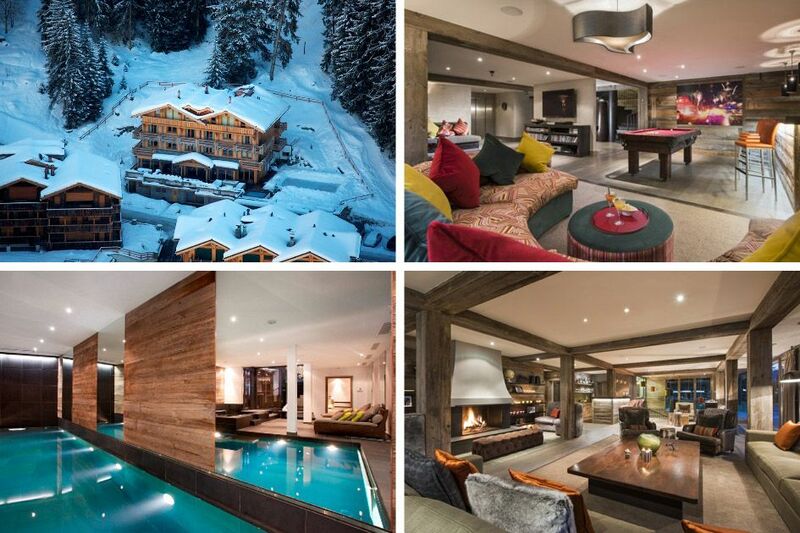 These are just a selection of luxury ski chalets, they need you to fill them with romance and make the most of their heart-warming facilities. So, whether it’s a ski chalet for a romantic getaway or a wedding party to create moments to treasure, we’ll have a romantic ski chalet for you. Give us a call today on +44 1202 203650 or send us an email.